A new law cracking down on habitual DUI offenders is now in effect. 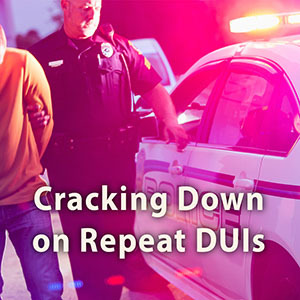 Statistics show repeat offenders cause 40 percent of all DUI-related crashes. Pennsylvania was previously one of four states that did not punish repeat DUIs as felonies. Act 153 fixes that by increasing penalties for repeated DUI crimes. Under the new law, any individual convicted of his or her third DUI with a BAC of 0.16 or higher could be found guilty of a felony offense. The same penalty would apply to all individuals convicted of four or more DUI offenses. Repeat offenders who are convicted of homicide while DUI now face a minimum prison sentence of five or seven years, up from the previous three-year minimum. Ambulance companies across Pennsylvania will see a much-needed increase in Medicaid reimbursement rates this year. Approved as part of the 2018-19 budget, reimbursement rates have increased from $200 to not less than $300 for Advanced Life Support (ALS) services and from $120 to $180 for Basic Life Support (BLS) services, effective Jan. 1. 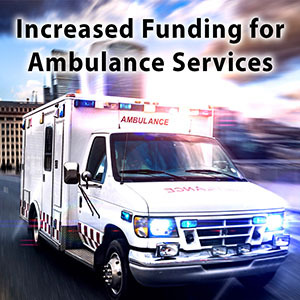 The increases, to be funded by $4 million in state funds and approximately $8 million in federal matching funds, are necessary to help meet growing costs faced by the Commonwealth’s emergency medical service providers. It is the first increase since 2004. To further support these life-saving services, another new law, Act 103 of 2018, requires both private insurers and Medicaid to reimburse for treatment provided regardless of whether transport takes place. This is a common occurrence with patients suffering with diabetes as well as for drug overdose calls. Additional initiatives to shore up the state’s fire and emergency response organizations were outlined in a recent report released under Senate Resolution 6 of 2017. The report includes 92 concepts incorporated into 27 recommendations to address challenges in the fire and EMS communities, with most of them focused on staffing, funding and training needs. I was honored to take part in the official groundbreaking ceremony for the new 23-acre expansion of Hersheypark. Hershey’s Chocolatetown is expected to open in summer 2020 and will feature the park’s 15th coaster, a restaurant/bar/patio, ice cream parlor, confectionary kitchen, Starbucks, a new kettle corn location, flagship store, boutique shopping, Kisses fountain, a re-envisioned entrance to the park and new location for the 100-year-old carrousel. You can take a virtual tour of the new expansion project here. Hundreds of thousands of visitors walked through the doors at the Farm Show Complex in Harrisburg for the 2019 Farm Show earlier this month. My family and I visited for some of those famous milkshakes, and then I stopped by again later that week to meet with several Milton Hershey School students who were showing their animals. I always enjoy the chance to interact with the school’s Agricultural and Environmental Education Club. This year, I spoke with two groups of students who were showing goats and sheep. You can watch these interviews below. College students can now apply for PennDOT’s 2019 Summer Maintenance Program which will run May through August 2019. The program is designed to supplement PennDOT’s permanent workforce by providing maintenance and custodial services at roadside rest facilities and supplying additional labor and performing flagging duties in maintenance organizations and highway worksites. The hourly rate for these positions is $13.56. Interested students are encouraged to contact my office at 717-534-1323 to convey interest in the position and to apply online at www.employment.pa.gov to the PennDOT Summer Maintenance Program posting under the Opens Jobs section of the website. Applications should be made no later than Friday, Feb. 15. 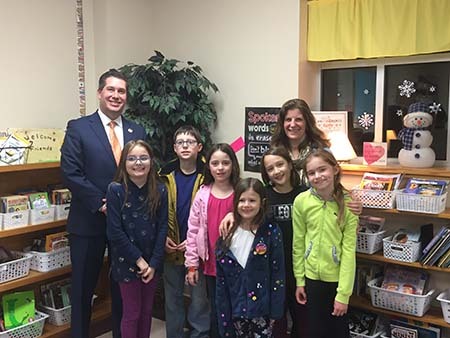 I had the chance to attend an open house held at Lancaster Mennonite School’s Hershey Campus and learn about the school’s curriculum and different co-curriculars offered. LM high school students gave tours of the building and I even had the chance to meet with a few students and teachers. I recently spent some time with Christopher Christman, who became Derry Township Manager on Nov. 26. 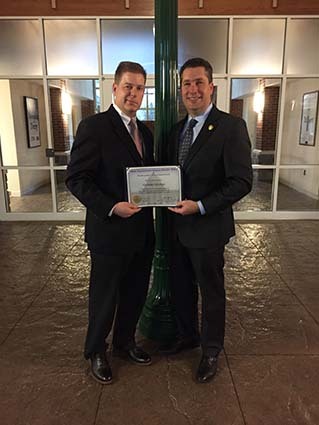 I presented him with a certificate welcoming him to his new role on behalf of residents of the 106th District. We look forward to working with you, Chris! 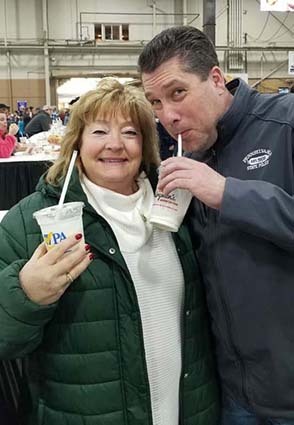 This year’s Winter Fling in Hummelstown didn’t disappoint. 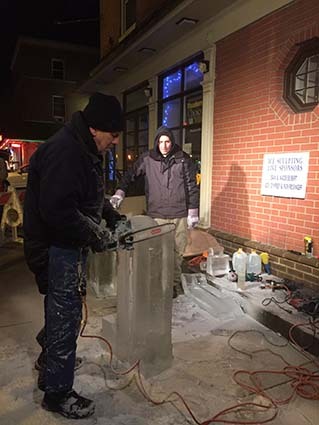 Despite the cold temps, there was a great turnout for the 5th annual block party, featuring live music, food, ice sculptures and kid’s activities. The Winter Fling was started in 2015 to replace the annual New Year’s Eve celebration and has been a big hit ever since. 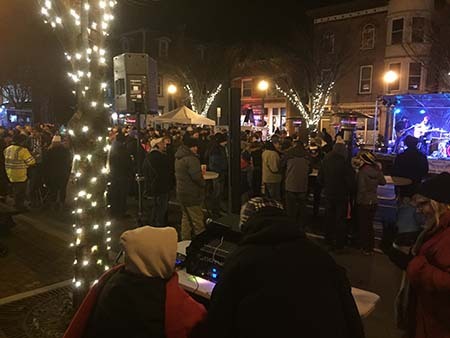 Kudos to the Hummelstown Community Foundation for putting together such a fun event for the community!